The 'Snowdonian Limited' is a repeat of our popular April train, again offering an 80 mile round trip over the whole railway with a variety of motive power. 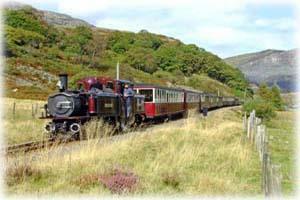 The journey will cover the full length of both the Welsh Highland and Ffestiniog Railways in one day. To add more interest to this scenic journey, the Snowdonian will be hauled by a variety of motive power. Trains being run to raise funds for The Diamond Jubilee Appeal.